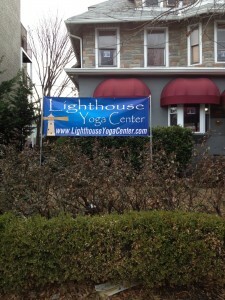 I own Lighthouse Yoga Center in Washington, DC. We’re the largest Kundalini Yoga studio in the city. As seva, I am privileged to teach yoga at a homeless agency in downtown DC, which is an incredibly rewarding experience. I began teaching yoga in 2008, and by the end of that year, I had left my day job and made Kundalini Yoga my life fulltime. I opened Lighthouse in 2012. Before this, I taught at several gyms and yoga centers in the area, but I realized that the demand for Kundalini Yoga classes was far greater than the supply. The only other Kundalini-focused yoga studio in DC had closed a couple years earlier, so there was a real need to provide space for the community. We grew so quickly that we started our first teacher training program just over a year after opening! I tend to teach a fairly vigorous class—strong kriyas with lots of pranayam and chanting. But we also offer classes at Lighthouse that are very gentle, and one that’s just meditation, and those are a lot of fun to teach as well. I really like to mix it up a lot. My students never know from one day to the next what to expect, and they enjoy that—the variety keeps them coming back. I also make sure to start the class with some discussion about whatever “theme” we’re working with on that day, maybe releasing stress or clearing the subconscious, or these days it’s often how to keep warm! There are so many that I love! One of my favorites is Adjusting the Centers of Interconnection and Intercommunication from Reaching Me in Me, because playing the gong during the chanting is amazing. I also love teaching kriyas with dancing in them, like Self-Renewal from Physical Wisdom. You do all this hard work and then at the end you get up and move around and shake it all up. It’s fantastic. I have a little meditation space in my home, in a quiet room with a beautiful altar set up under a window. Often, one of my dogs and my cat like to join me. It gets crowded on the mat, but we all bliss out together. I was drawn to Kundalini Yoga through the music, so I love sharing that part of the practice with my students. There are so many great artists these days! I love playing Sada Sat Kaur’s CDs. She’s been around for a while but her music never gets old. After I play some of her songs, students always come up to me and ask who that was. I also like some of the newer artists. I’ve been playing a lot of Jai-Jagdeesh’s new CD a lot lately (Of Heaven & Earth), and I love everything Mirabai Ceiba has done. Their newest CD, Sacred Love Meditations, is amazing. What’s the hardest thing about being a studio owner and teacher? I love what I do, but the biggest challenge for me is that it’s 24/7. People don’t realize how much work it takes to run a yoga center and prepare to teach classes! But it’s all worth it and I’m so blessed to be on this path. We just completed our first Kundalini Yoga Level One Teacher Training at Lighthouse Yoga Center. At the very end of the last day, one of the trainees suggested that we do an “Appreciation Circle”, where someone says something they appreciate about someone else in the group. Then that person appreciates someone else. It was one of the most amazing experiences I’ve had, to hear these new teachers express so much gratitude to one another for helping each other through the course. There’s so much strength in community. My teacher trainers and mentors are Sada Sat Singh and Sada Sat Kaur, and I’ve been working with them directly for many years. I also have tremendous respect for Mahan Rishi; in fact, he will be teaching a Kundalini Yoga Level 2 Teacher Training module at Lighthouse in spring. When I’m at Sat Nam Fest or Solstice, I never miss Krishna Kaur’s class. I love how she talks about yoga and empowerment. 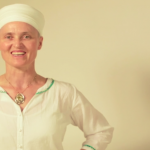 Julie (Jiwan Shakti Kaur) started practicing yoga in the mid-1990s as a way to decompress from a stressful job. Over the years, as her practice deepened and evolved, Julie began to understand yoga as a tool of personal transformation and empowerment. 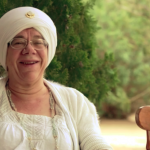 She is certified through the Kundalini Resarch Institute (KRI) to teach Kundalini Yoga (as Taught by Yogi Bhajan). 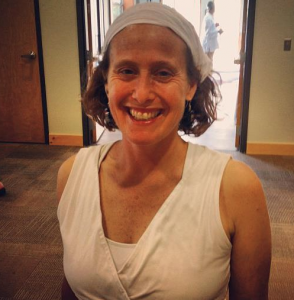 She began teaching yoga in early 2008, and by the end of that year, she was working fulltime as a yoga instructor. 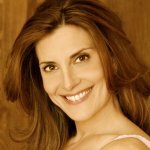 Until October 2011, Julie was also the Executive Director of Yoga Activist, Inc., a non-profit organization that connects volunteer yoga teachers with underserved populations. She continues to teach yoga to the homeless and low-income Spanish-speaking immigrants in Washington, DC, and thoroughly believes in the transformative power of the practice. Want your own teacher spotlight? Send us information to ramdesh@spiritvoyage.com!